A Quick Detailer which refreshes the bodywork of your vehicle in between washes removing the light covering of dust and traffic film transforming the finish back to as new. The formulation is enhanced with the addition of a high gloss polymer wax which will provide a top-up to the protection of the bodywork in between washes. 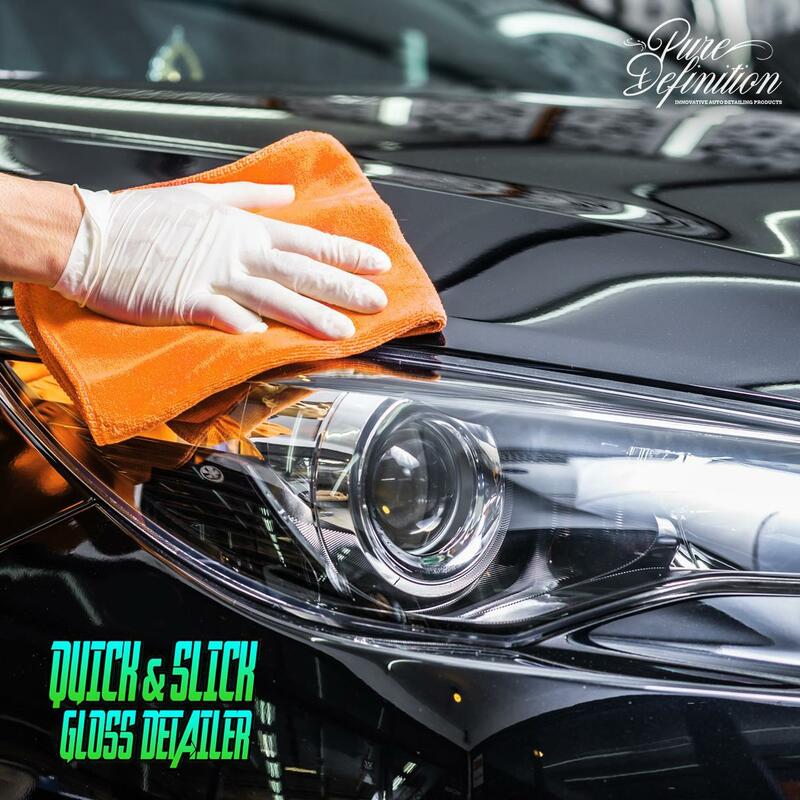 Quick & Slick Gloss Detailer keeps your vehicle looking clean every day between washes. Cleans and rejuvenates paintwork, glass, mirrors and trim. removes light traffic film, bird lime and fingerprints. Leaves an ultra slick nano polymer wax layer designed to enhance the gloss and depth. Also, adds a quick additional layer of protection to paintwork. The nano-polymer formulation aids in reducing surface tension, creating a highly lubricated layer which enhances the performance of detailing clay when used as a lubricant. 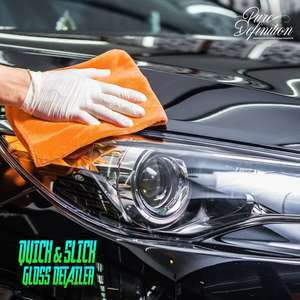 Quick & Slick Gloss Detailer should be used as an in-between wash cleaner to remove light dust and dirt, keeping the vehicle clean without needing to completely rewash. Additionally, Quick & Slick Gloss Detailer can be used as a clay bar lubricant. A very handy car detailing product, I use it in between washes to keep my car clean. A little of this product goes along way. The wax does leave a shiny finish to the paintwork as well. 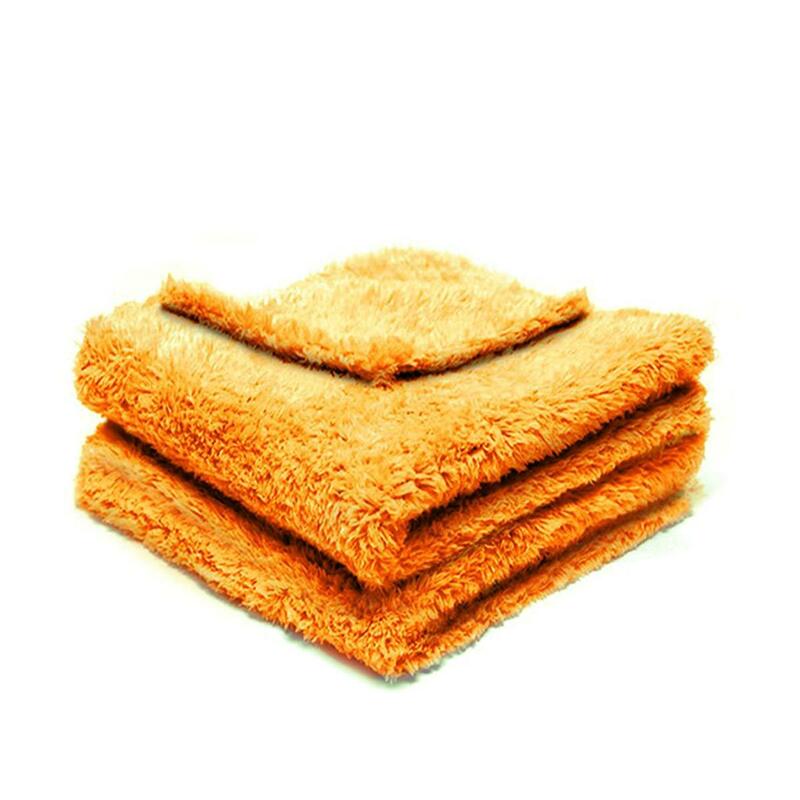 Simply spray on and wipe off straight away, then buff the surface dry with a second microfibre cloth. 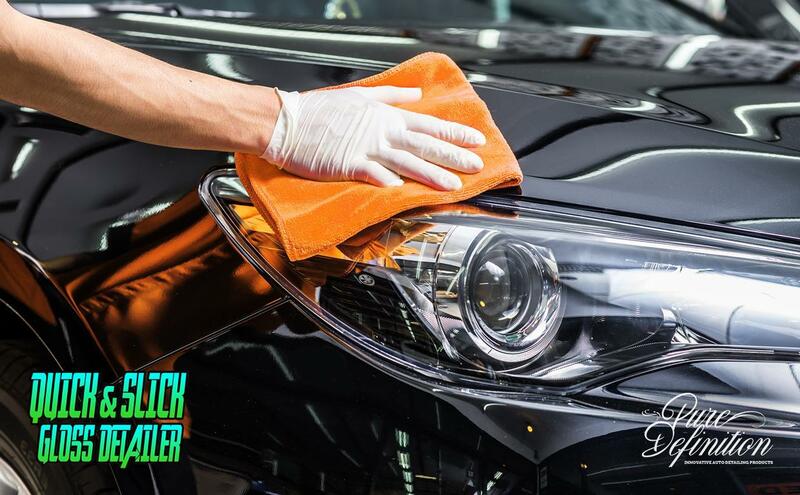 Do one panel at a time, do not use the detailer in direct sunlight in high temperatures and do not let the fluid dry before buffing with a microfibre cloth.